Vacations are a great way to get away and get a break from the monotony of everyday life. But, what's the point of a vacation if it ends up leaving you stressed out when you get home because of how much money you spent? 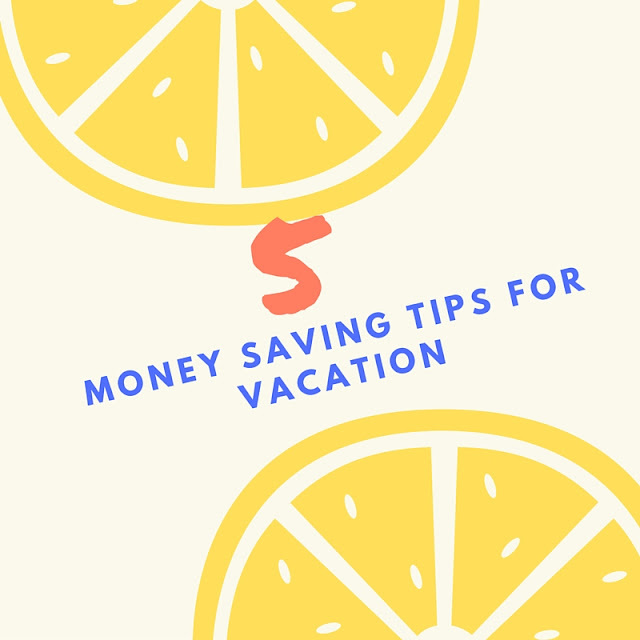 So here are a few tips for saving soem cash when you vacation this summer. First of all, organization is key to any vacation. Make a list of everything you need to pack so that you don't forget anything and end up having to run to the store to get it. Plan out what meals you want to eat out and what meals you will prepare at the vacation. For instance when we go to the beach this month we will be packing a cooler full of sandwiches everyday for lunch on the beach. Bring your OWN snacks. Before you head out on vacation (especially if you are driving to your destination) head to the grocery store and pick out some snacks and staples that you can use to prepare sandwiches for lunch, snacks on the beach, etc. so that you aren't buying every meal. The $5 pizza slices all week will add up. Activities like Mini Golf, hiking, and playgrounds or lakes can offer free or cheap fun on any vacation. It's important to plan a few of these over the course of your vacay. If you plan to drive yourself and your car isn't in the best of shape or it tends to overheat, consider renting a car for a few days. Sometimes you can get great deals depending on the day of the week that you are leaving and returning the car. However, if you were considering a rental car but you have a brand new car at home, it might make more sense to just have to pay for gas in your own car and skip rental car fees. It can be expensive to board a pet so consider asking a relative (whom you trust) to stay at your home while you're away. It not only saves you some money but it gives you peace of mind. What ways do you save money when you go out of town for vacation? Amazing and thoughtful ways to save money on vacation. These thrifty ideas can really help to enjoy vacation without spending much.